Family of workstations composed of aluminium frame and HPL tabletop, either in black, white or medium grey. 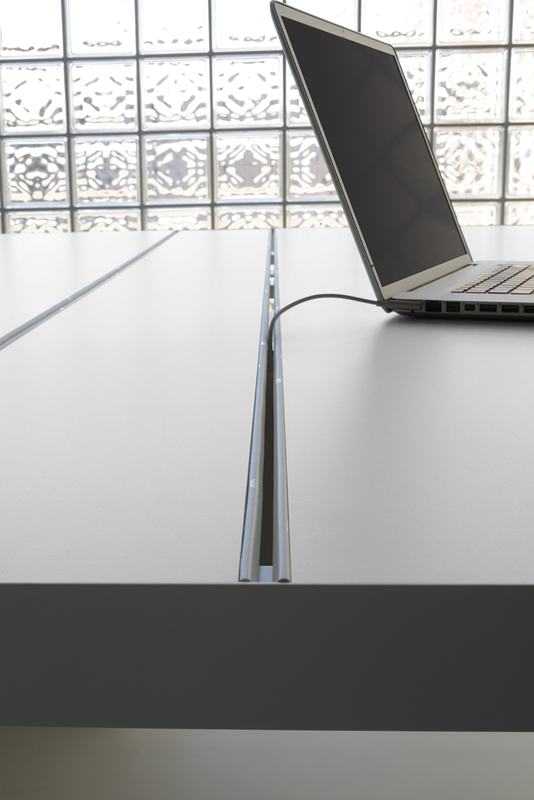 Monochrome tables are complete with inspectionable raceway for wiring and cable access spring. The following versions are available: single version (desktop) with cable management tabletop and double version (with front seats) with cable management tabletop. Accessories available for workstations: dattilo L90 D55, cable management door, PC holder and chest of drawers.